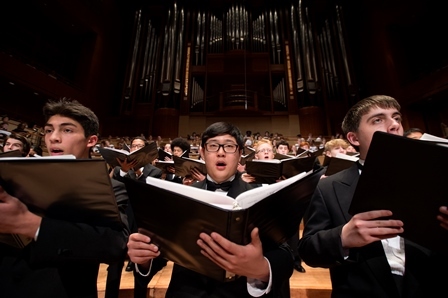 Now celebrating its 22nd season, the Children’s Chorus of Greater Dallas (CCGD) is one of America’s largest and most prestigious youth choral programs, and serves as the official children’s chorus of the Dallas Symphony Orchestra. Under the leadership of Artistic Director Cynthia Nott, CCGD is dedicated to providing Dallas-area young people with opportunities to study and perform choral music at the highest level of artistic excellence, in a group that reflects the region’s ethnic and economic diversity. 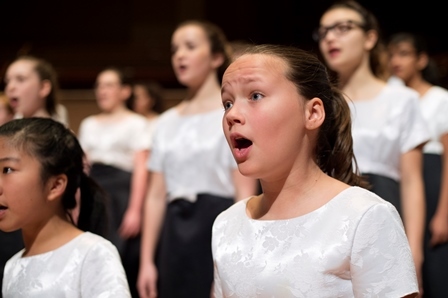 ​CCGD’s eight choral ensembles serve more than 500 children and teens in grades 4–12, drawn from 53 communities throughout a 33-mile radius of downtown Dallas. 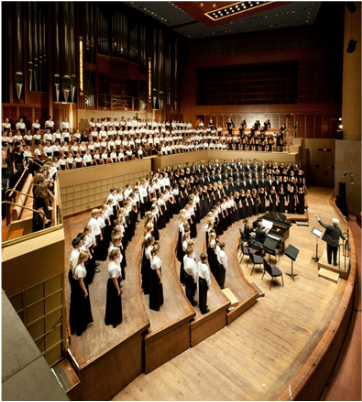 Approximately 4,500 patrons annually attend CCGD’s Deloitte Concert Series, held at Dallas’ world-class Morton H. Meyerson Symphony Center. This season, through ancillary regional performances, community engagement initiatives, and a tour to San Francisco, CCGD will extend the enrichment of choral music to more than 20,000 children, youth, and adults. 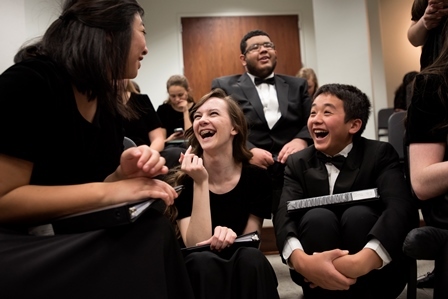 ​Founded in 1996 by eight Dallas musicians, CCGD was conceived to provide area youth with a forum to excel as choral musicians in their own right and to serve as a quality resource for the Dallas music community. Heralded by Dallas Symphony Music Director Jaap van Zweden as “…one of the best [children’s choruses] I’ve ever heard,” CCGD enjoys a reputation for artistic excellence within the classical music community as well as among audiences at home and abroad. In addition to appearing regularly with the Dallas Symphony Orchestra since 1997, CCGD has performed locally alongside the Dallas Bach Society, the Dallas Wind Symphony, the Orpheus Chamber Singers, the Greater Dallas Youth Orchestra, and more. CCGD’s tours have resulted in performances in such prestigious venues as New York’s Carnegie Hall, Chicago’s Symphony Center, London’s Southwark Cathedral, St. Peter’s Basilica in Rome, and the Cathedral of Notre Dame in Paris. In August 2015, CCGD embarked on nine-month strategic planning process led by CCGD Vice Chair and Strategy Chair Kelly Herod, a Principal at Deloitte Consulting LLP. During a series of retreats, CCGD’s Board of Directors and administrative and artistic staff undertook a comprehensive SWOT (Strengths, Weaknesses, Opportunities, and Threats) analysis of the organization, collaboratively engaged in visioning and goal-setting exercises, and developed a draft five-year plan. CCGD then solicited and incorporated feedback on this draft from a broad range of stakeholders including alumni, former and current CCGD parents, corporate and individual donors, CCGD founders, and community leaders. This resulting Strategic Plan was formally adopted by CCGD’s Board on May 20, 2016, and establishes the overarching goals to guide the Chorus’s work through 2021.